This TW Exclusive was developed by Grand Slam finalist Robin Soderling. It boasts a comfortably muted feel along with amazing control on full swings. The high level of control will give big hitters confidence when going for extra pace and spin. All in all, this is a great option for intermediate and advanced players looking for a low-shock control string that allows them to take huge cuts at the ball. 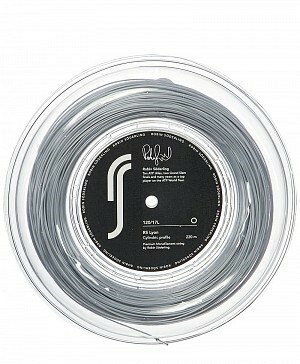 A premium monofilament professional string with a round profile. This string gives you great power effects with kept control and feels soft to your body. Recommended for juniors and senior players, due to its kindness to your arm and body.